It is widely expected that the current Dodge Challenger will race off into the sunset within the next couple of years, but with FCA’s success in rolling out new features and trim levels of the Mopar muscle car – there are lots of rumors as to what else might arrive in the next few years. At one point, we expected the next generation Challenger to arrive by 2020, but new rumors suggest that it could be even later. Of course, if the company rolls out the next generation in a year, many of these long-term rumors about the current Dodge Challenger will prove to be false, but if this car hangs around for a few years, these are the features that the internet insists we will be offered in the next few years. First up, there are rumors that we could see some naturally aspirated models with a similar widebody treatment to that offered on the current Widebody Hellcat and Demon. Since the company has the parts at their disposal and the wider wheels and tires have been proven to offer improved performance – this seems like something that the company could easily do. Not everyone loves the factory widebody look, but for those prospective buyers who want the widened stance with a naturally aspirated engine – such as the 392 Hemi – this would be a great option. There have long been rumors that the supercharged 6.2-liter Hellcat Hemi will get more power in the next year or so as Dodge looks to better compete with the new Ford Mustang GT500. That engine is expected to offer at least 700 horsepower and we expect that it will over-power the current Hellcat at 707, but if the Motor Company rolls out a Mustang with 725 horsepower – we could see a new Hellcat with 740-750 horsepower. With the Dodge Demon offering 808 horsepower on 93-octane pump gas, it is possible for FCA to inject up to that power level in a Hellcat model. We can expect them to leave some space between the Hellcat and the Demon, but the output of the next Hellcat will likely be tuned to beat the new GT500. Adding the extra power wouldn't cost Dodge much and it wouldn't require many new parts, so it seems feasible to add power to the Hellcat without the price booming. 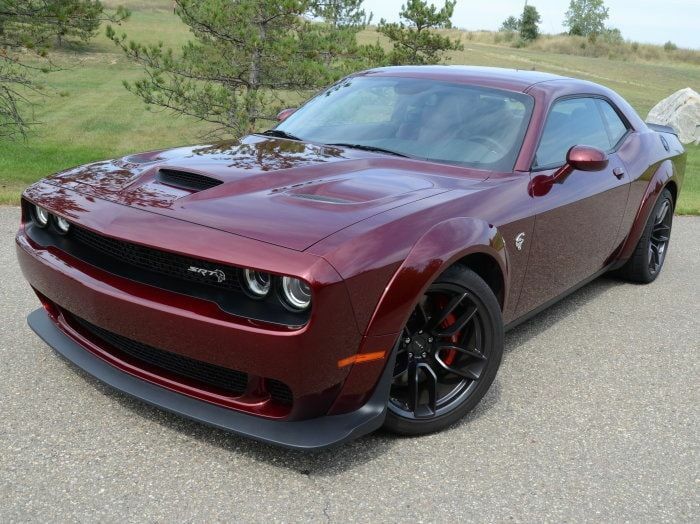 One of the most popular rumors is that there will be a new Challenger Hellcat Drag Pack coming for 2019, which will introduce more power (see above) with the Air Grabber hood, the Torque Reserve system and the intercooler chiller system. This would be a narrow-body car with the premium interior features of the Hellcat models, but it would have more high performance potential and more power than the current Hellcat Challenger. We have speculated since the Demon arrived that some of the package-specific features could be applied to other models in the future and if nothing else, it looks like the hood and some of the performance gadgets will be used on other models. In addition to the Demon hood, there have been spy shots showing other hood designs that may be offered on the 2019-and-later Challenger, but we don’t know if those hoods will apply to Hellcat models or other packages. Finally, the rumor that I have the least confidence in is the return of the naturally aspirated 426 cubic inch Hemi. Introducing an engine of that size would pose a challenge for the engineering team in meeting emission standards in all 50 states and in the long run, it would likely only be a touch more powerful than the current 392 Hemi. It isn't like the new 426 would be anywhere close to overpowering the Hellcat, so it would be a mid-range engine. Figure that the 392 makes about 1.24 horsepower per cubic inch. At that rate, the 426 would make around 528 horsepower. When you consider the cost of developing a new engine for road use, including emission testing, bringing a new naturally aspirated 426 would be pretty expensive and that cost would be transferred to the price of the cars with that engine. Without a big increase in power, the biggest advantage of the 426 would be the owners’ ability to say “I drive a modern 426 Hemi Challenger”, but they likely wouldn’t have much more power than a custom-tuned 392. In other words, it would like cost more than the current 392 models without a huge power increase, which would test the limits of how much people are willing to pay for an increase of 40 (or so) horsepower. The 392 models have sold so well because they are priced very well for a 485hp engine, to maintaining that value would be an important challenge for an all-new engine. The most damning evidence against the rebirth of a naturally aspirated 426 Hemi is the fact that the same insiders who provided me with advance information on the Hellcat and Demon, as well as the widebody design and the V6 AWD model haven’t seen anything happening with a new 426. That means that it isn’t happening or it is better-guarded than any new engine or car in the modern era of the Chrysler team. I would love to see a new 426 Hemi Challenger for street use (the Drag Pack race car doesn’t really count), but I’m not going to hold my breath. Again, there has been nothing from FCA to confirm any of this, but with all sorts of questionable sources spreading rumors on the internet, we wanted to address the most popular discussions on the internet today for the future Dodge Challenger. It would be nice if the Challenger Hellcat Widebody with the 6-speed manual transmission gets the same AWD system as in the JGC Trackhawk, for better traction. I would buy the car in a heartbeat if that happens. I wish FCA hadn't retired the R/T Max AWD Charger after the 2014 model year. I went to buy one in the summer of 2016, and I was disappointed. Actually yes the 426 hemi is coming out. Its not a new engine. They are taking the 392 and using a bore and stroke kit. Adds about 100 hp. It will be pushing 560-580 hp.